Urban design is increasingly adopting the idea of food production within city spaces. Carrot City looks at how we imagine a city will look if agricultural production rises. New knowledge networks, changes in urban home and building design, vertical agriculture and the various components for growing food are all included. As changing climate, population increase and food health concerns rise on the world’s agenda, cities will adopt and adapt to new needs. As the world’s population grows, more people are living within cities. These urban environments are changing shape and taking on new designs and capabilities to meet the challenges of changing climate, environmental considerations, building design and the expanding need for increased food production. Carrot City: Creating Places for Urban Agriculture aims to educate and to provide the knowledge necessary for understanding these many forces and how they are resulting in new approaches for urban agriculture. The authors provide a wide variety of information including ongoing projects, social interactions for building communities, home and building design and how to go about producing food from a rooftop. They also look into various options for constructing composters, livestock shelters, hydroponic gardens and an assortment of planters and containers for in-house food production – all aligned to building design and energy use. Carrot City finds it’s roots in the Ryerson University of Architectural Science in Toronto, Canada. That university has been educating students about urban food production for the last 6 years, culminating in a symposium in 2008 and a travelling exhibit since 2009 – from Toronto to New York to Morocco. The concept is based on planned production of food from urban environments. This includes the active design of spaces to support city agriculture. The idea is to empower small-scale food production at the local level, often seeking to enable the production of food that is healthy and aligned to the residents immediate needs based on diet and health. This kind of urban sustainable production follows along the line of other references such as the 100-Mile Diet, that aims for citizens to eat locally grow products within a radius of 100 miles. 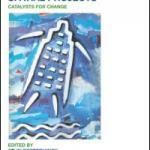 The authors discuss the changes within cities that will be needed to support urban agricultural approaches. For example, since cities are dense within their centers, then the idea that shared production systems that integrate together are good options for supporting agricultural production, without individuals having to maintain all components. Since urban environments also lack green spaces, then concepts that incorporate planters and containers while also rising vertically are described. Older areas by comparison will have larger gardens and thus be able to support production using traditional techniques. The book raises issues about new urban architectural designs and their ability to open spaces and reserve spaces for food procution, while still allowing for the inhabitants to move about these areas and live within them. “Food shapes cities, and through them, it molds us — along with the countryside that feeds us,” notes writer Carolyn Steel. Carrot City is includes maps and the discussions within the book are based on spatial context and the identification of landscape spaces and land use. Examples include the Platte River Village in Colorado, Pyramid Vertical Farm Dubai, Ravine City in Toronto, Gardiner Urban Agriculture Hub in Toronto, Greenhouse Village in The Netherlands, Southeast False Creek in Vancouver, Parc Downsview in Toronto, Prairie Crossing in Illinois and many more. The Agroparks of The Netherlands provide a glimpse into the crossover between urban entertainment spaces, while also serving the needs of food production. Hotel de Ville in Paris recently held a demonstration of these concepts in front of the hotel, helping visitors to imagine and understand what these kinds of changes would look like by visiting the spaces in front of the hotel that exhibited gardens and containers to produce food. Meanwhile, the reaches of these concepts geographically, extends well beyond temperate climates all the way to the arctic circle where the Inuvik Community Garden, built within a greenhouse space is used to produce food for the residents of the northern settlement. The mere appearance of more more greenery and plants within many of these urban spaces is bothg attractive, but also creates a sense of warmth and desire to visit and sit within these spaces. The designs are ultra-modern in many cases, but do not take on the shape and style of plastic collections of soil. Instead, they appear more like designed spaces, aligned to lighting, utility systems and pathways within structures. The Science Barge along the Hudson River in New York is a 400 square meter space that is used to produce food, powered through sunlight. At McGill University in Montreal, the Edible Campus is a garden used to produce food, while intended to provide visitors with the idea of food security close to where they live. Leadenhall Street City Farm in London, United Kingdom stands out not only as a victim of the latest round of economic meltdown in 2008, resulting in the cancellation of a 47 floor project, but instead as a magnificent exmaple of how agriculture occupied the vacant waiting space to produce something useful. Edible Terrace in Bolton, United Kingdom includes images of townhouses, with inter.moxed gardens and containers within balcony’s – all designed to feed residents while providing more street level interaction between residents. Agro-Housing in Wuhan, China is a prime example of vertical agriculture with many apartments aligned vertically, each producing food and appearing as a wall of green to the viewer. Some of the most productive agricultural systems within urban environments can be found on the rooftops of buidlings. With largerer spaces, they can appear in mixed use spaces, or even as large production systems, resembling fields where the roof space is large in industrial areas. Rooftop School Gardens in New York, hotel gardens at the Fairmont Hotel in San Francisco and Uncommon Ground Restaurant in Chicago are all examples of this kind of production. 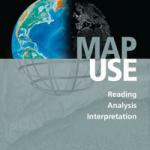 Those working with geographic information systems (GIS), computer-aided design (CAD), surveying and remote sensing technologies will immediately understand the link between design and food production within this book. 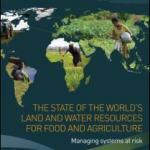 It is more than food production alone, it includes a vibrant look into the design of spaces – supporting agriculture. 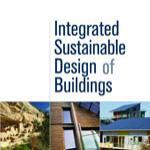 And that depends upon transport, energy use, utilities, human geography and architecture. 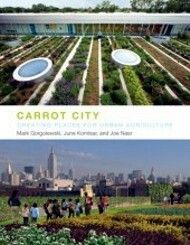 Carrot City: Creating Places for Urban Agriculture is an exceptional book. The many graphics of actual and imagined examples for different places around the world provide an excellent collection of what is happening in this field and it’s current status. If urban agriculture is something that interests you, or if you are a designer that includes urban spaces within a portfolio, then this book ought to be on your bookshelf. It is interesting to read, a pleasure to view for the images and will fill your mind with new ideas about urban spaces, design and food production.